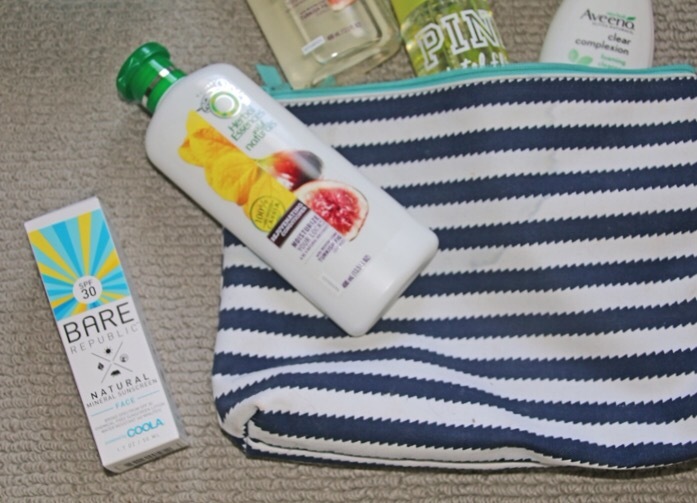 I’m all packed up and ready to go but before I zip up my bags I thought it would be fun to share some of my packing/beach go-tos. 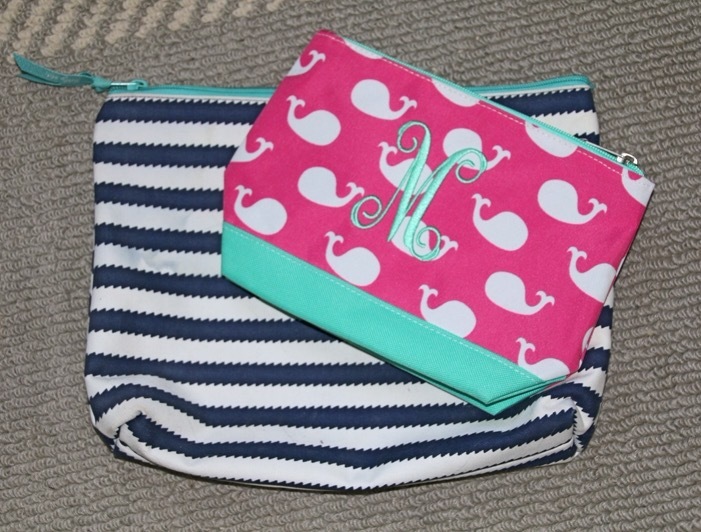 Starting with this cute beach bag (major essential) and it has to be big enough to fit all of mine and Daarik’s things (and Daarik can pack up a lot of junk stuff to take down to the beach for the day). My mother-in-law bought the one pictured for me and it is perfect, since she gave it to me it’s the only thing I’ll pack up to take to the lake or wherever! 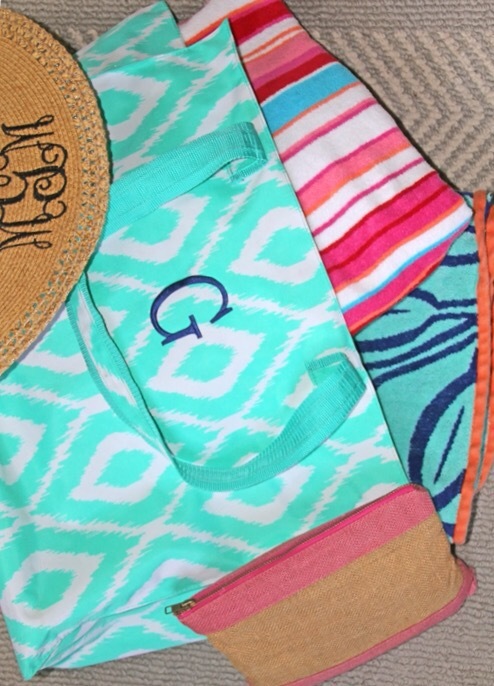 I’ve bought so many beach bags that are either hard to carry, too small or that I’ve bought on impulse and hated. 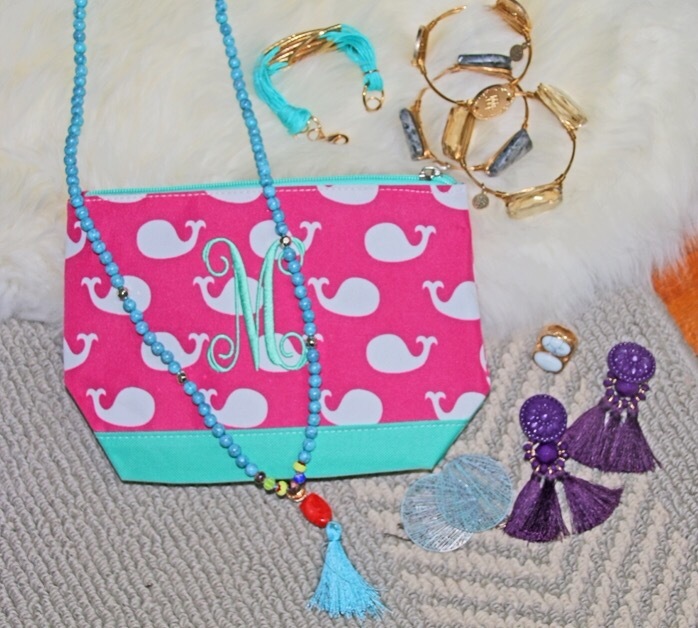 Somehow Daarik’s mom can buy the perfect items that are reasonably priced, extremely cute and that will actually be used (I don’t have that gift.. give me the biggest, bulkiest, most expensive bag that I hate, because I’ve panicked that I wouldn’t have a bag at all). 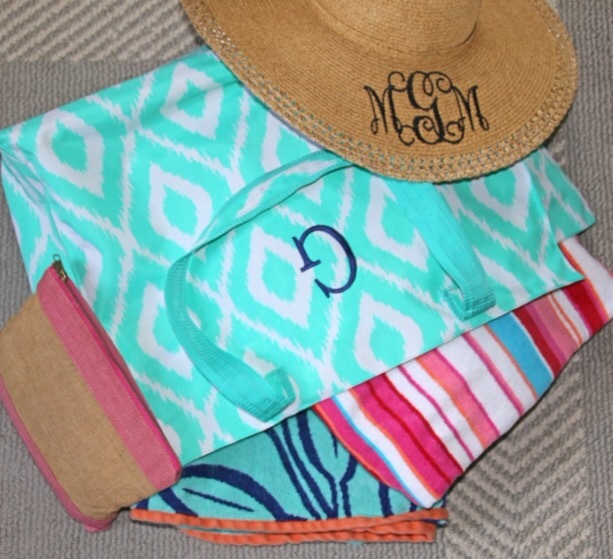 I always pack my bag down with, of course, beach towels (I just had my sister monogram Daarik and I some and they are beyond cute… she’s handy to have around), sunscreen and speaking of sunscreen real quick let me tell you why I buy two certain brands for my face. When I was kid I would always put random sunscreens on my face (just whatever mom would buy) and I can still remember crying to my mom because my face would sting and hurt so badly, it was terrible. 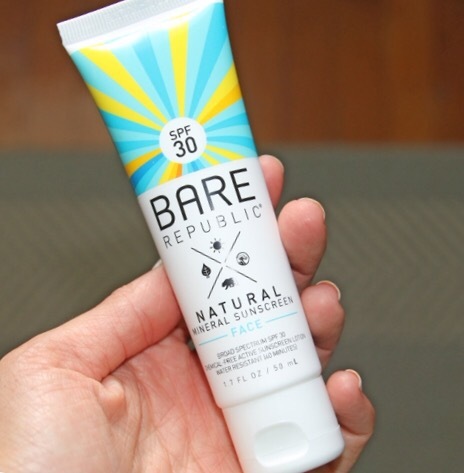 We finally figured out there was something in the sunscreen that made me react that way, so we started to buy Clinique face sunscreen (it doesn’t matter what type I use on the rest of my body- just my face). Well, about a year or so ago I got a free sample of Bare Republic aka Coola so I tried it out and it worked wonders (gotta love samples!!) and I’m happy about that because it’s a little cheaper than the Clinique I was buying. 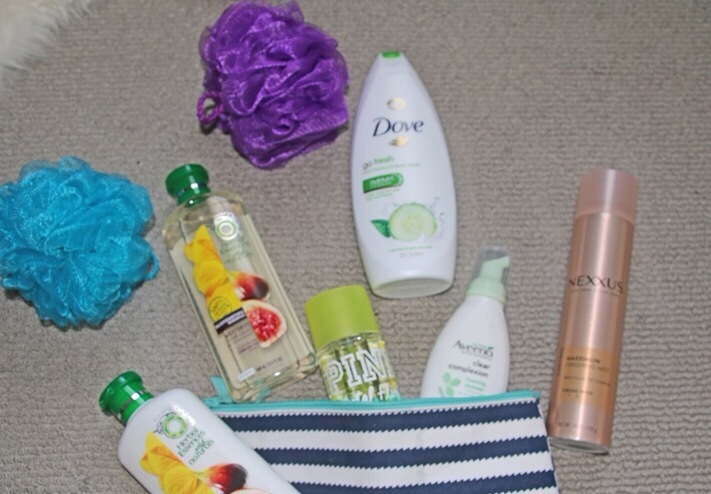 Other than beach essentials I packed up my normal go-tos for my hair and skin (if you haven’t tried the Herbal Essence shampoo/conditioner, do it, literally every scent is amazing). Jewelry is a must for me, Daarik thinks it’s a waste of both space and money but it’s what every female uses to spruce up their wardrobe, he just doesn’t get it!! Haha!! 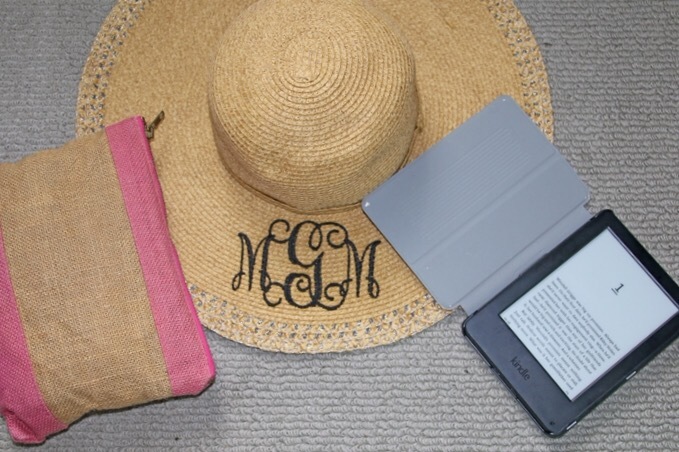 Last but not least my Kindle is a must for all the laying out, it drives me insane not to have something in my hand to read, I just bought The Weekenders and cannot wait to dive in! !